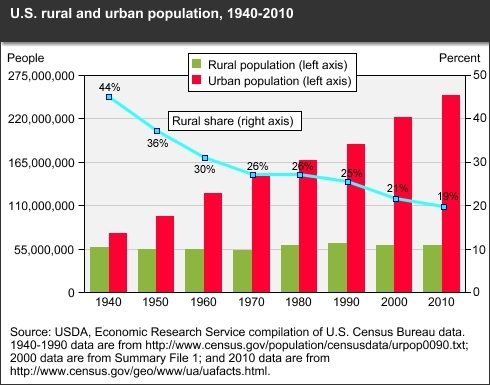 There are an estimated 80 million detached homes and 5 million commercial buildings in the U.S., and they account for nearly 40 percent of total U.S. energy consumption (about 40 quadrillion BTUs), according to the Department of Energy’s Energy Information Administration (EIA). 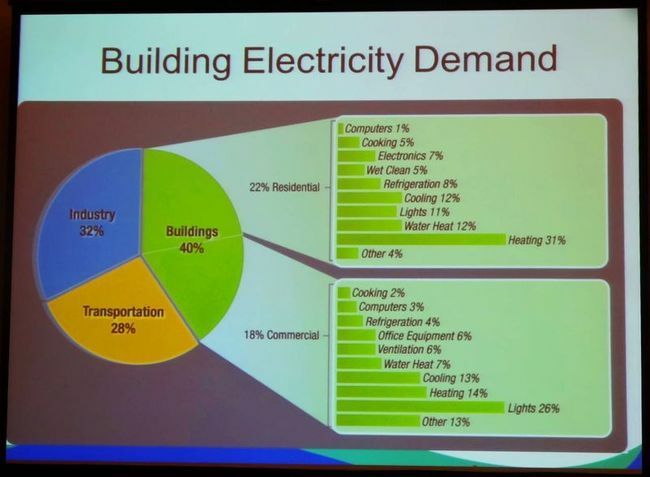 Given our reliance on coal and natural gas for the electricity, heating and cooling these buildings require, residential and commercial buildings accounted for 10 percent of climate-warming U.S. greenhouse gas (GHG) emissions in 2012. Deploying technologies that enable commercial and residential buildings to generate their own clean renewable electricity and energy would go a long way toward improving urban living conditions and quality of life, as well as significantly reducing energy costs over the long run. Moreover, it would provide a big boost regarding our ability to address increasingly pressing regional and global issues, such as water use and resource management, waste management, land degradation, air pollution and climate change. New Energy Technologies is one of what’s been a growing number of companies looking to identify and develop innovative clean energy solutions for urban environments. Undertaking groundbreaking research and development (R&D) into see-through organic photovoltaic (OPV) films that can turn glass and plastic surfaces into clean, renewable energy generators, the Columbia, MD-based company on May 8 announced it had raised the bar for the ability of transparent organic PV films to produce electricity over 50 percent. What if all those residential and commercial buildings could generate clean, renewable energy? That’s the goal New Energy Technologies is working towards. Transparent and able to generate electricity in shaded and low-light conditions, management foresees a day when its SolarWindow arrays will be standard-issue in retrofitting old, as well the construction of new commercial and residential buildings. Working closely with the Department of Energy’s National Renewable Energy Laboratory (NREL), New Energy recently built its largest SolarWindow array yet. At more than 232 square centimeters, the latest SolarWindow is more than 35 percent larger than any the company fabricated previously. On May 8, the company announced that in certified, independent testing by NREL its SolarWindow set a new record for generating electricity while remaining see-through, surpassing the previous mark by over 50 percent. SolarWindow coatings, for instance, could be applied to all four sides of a building, vastly increasing the surface area capable of producing electricity. 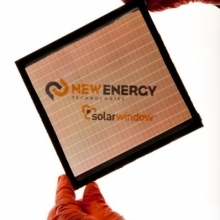 In addition, New Energy’s SolarWindow can produce electricity in diffuse and shaded sunlight, as well as from artificial lighting, including fluorescent, LED and incandescent lighting, conditions in which conventional PV systems suffer large efficiency losses or can’t produce electricity at all.